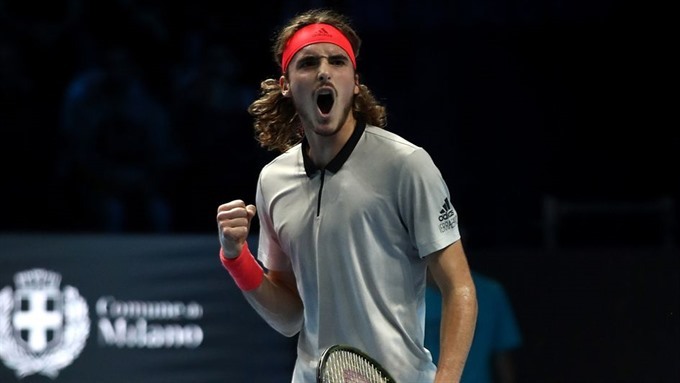 MILAN — Greece’s Stefanos Tsitsipas may be the star attraction at the Next Gen ATP Finals but Australian Alex de Minaur said on Thursday he was "having a hell of a year" as both raced into the semi-finals of the season-ending tournament for players aged under-21 with only one set dropped in three games. "I’m playing well, I’m feeling well, and I’m happy to be the star," said Tsitsipas, 20. "But I know there’s another star who had three wins in a row in the other part of the draw. So the tournament is not over yet." "It’s definitely a big surprise. I never expected almost anything that happened this year," said the player from Sydney. "It’s been a hell of a year. I’ve enjoyed every second of it and it’s given me a hunger for more." De Minaur beat American Taylor Fritz 4-3 (10/8), 4-1, 4-2 on Thursday with Tsitsipas racing past Poland’s Hubert Hurkacz 4-1, 4-3 (7/2), 4-1.